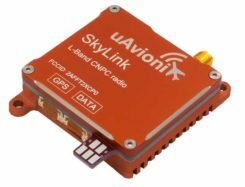 Following a waiver by the U.S. Federal Communications Commission (FCC) of its rules in November 2018, in which it allowed devices in the United States to access signals transmitted by the Galileo Global Navigation System, leading U.S. manufacturers are preparing to roll-out Galileo on U.S. territory. At a meeting on Nov. 15 last year, the US FCC granted in part a request from the European Commission for a waiver of the FCC rules so that devices in the United States may access specific signals transmitted by Galileo. This decision means that consumers and industry in the U.S. are now able to access certain satellite signals from the Galileo system, which can be used in combination with the U.S. 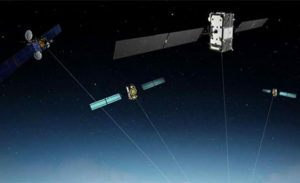 Global Positioning System (GPS). The improved availability, reliability, and resiliency offered by incorporating Galileo capability into devices is something that U.S. chip manufacturers are eager to pass on to their customers. “This is an important market development opportunity for manufacturers in the U.S. The FCC ruling means that industry can now benefit from the use of Galileo signals. The added accuracy and robustness offered by multi-constellation and multi-frequency capability will be a key differentiator on the market,” said Carlo des Dorides, Executive Director of the European GNSS Agency (GSA). 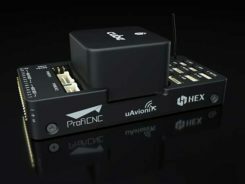 Both Broadcom and Qualcomm Technologies, Inc. already have dual-frequency solutions that support Galileo E1/E5a signals: the world’s first dual frequency GNSS smartphone, the Xiaomi Mi-8, was fitted with a Broadcom BCM47755 chip and, in December, Qualcomm Technologies launched the newest generation in its 8 Mobile Platform Series, the dual-frequency Qualcomm Snapdragon 855 Mobile Platform. The FCC ruling permits access to two Galileo signals — the E1 signal that is transmitted in the 1559-1591 MHz portion of the 1559-1610 MHz Radio-navigation-Satellite Service (RNSS) frequency band and the E5 signal that is transmitted in the 1164-1219 MHz portion of the 1164-1215 MHz and 1215-1240 MHz RNSS bands. Access to multi-constellation and multi-frequency capability means that users in the U.S. will be able to benefit from a better positioning and navigation experience particularly in urban environments where the unique shape of the E5/L5 signal makes it easier to distinguish real signals from the ones reflected by buildings, reducing the multipath effect. The simultaneous use of E5/L5 frequencies also mitigates other sources of error, such as ionospheric distortions, and makes the signal more robust against interference and jamming.